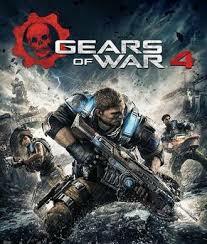 After much anticipation and a heck of a long wait, Gears of War 4 is almost u pon us. The Gears community has been hyped for this game since it was teased back at E3 2014. The wait is almost over as the game will release on October 11 with all new gameplay mechanics and returning ones that made that past games great. The campaign will shift over from the original trilogy’s protagonist, Marcus Fenix over to his son JD Fenix. Set 25 years after the end of the Locust War, a new threat has emerged on the planet of Sera known as the Swarm, and its up to JD and his squamates, Delmont Walker and Kait Diaz to uncover why this new enemy has emerged. Step into multiplayer that has returning fan favorite game modes like Guardian and Execution whiles new game modes like Dodgeball and Escalation. Brand new exotic character and weapon skins that’ll make you stand out in the battlefield. Finally, Horde 3.0 is back and meaner than ever, team up with 4 other buddies and take on 50 waves of baddies and uglies. As each wave increases in difficulty be sure to fortify and defend with the new fabricator and pick a class to differentiate your play style. So get ready and rev up those chainsaws because Gears 4 launches on Xbox One and Windows in one week.